Summary: (from my library catalog) Letters, numbers, and symbols are used to create the sounds of words and simple sentences which U R expected to figure out with the aid of illustrations. I like this book because: I LOVE PUZZLES. Doesn’t everyone? The intended age level was 6-9, but that’s preposterous! I bet my gray-haired uncle would have enjoyed this too (okay, he went gray at 21, but I didn’t know him then). 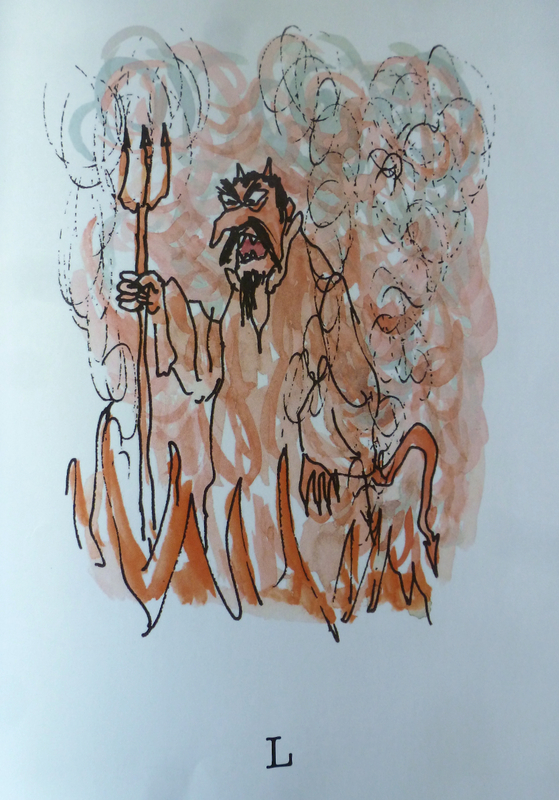 According to a contribution to THE ART OF WILLIAM STEIG by his daughter Maggie, Steig played a drawing game called ‘Five Lines’*, in which one person draws five random lines on paper and another adds to them, creating a face. Try it! 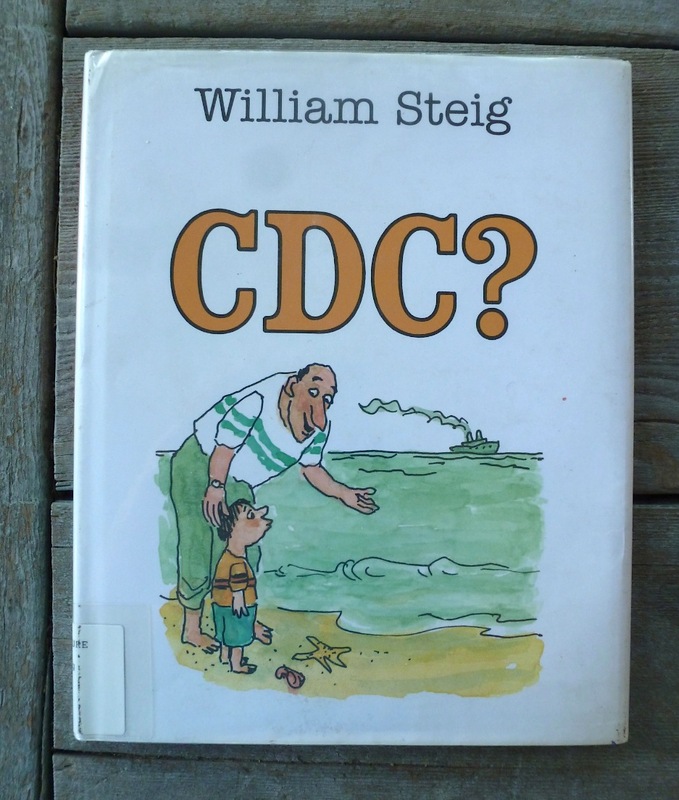 Resources/activities: read together with Steig’s first picture book from 1968: CDB! ; have each student come up with one image and word puzzle, or let them work in teams. Play Five Lines*, mentioned above. Julie, this book looks super cool. I have been looking for a book for my reluctant reader. This may be a good fit. Thanks for posting! Your RR is lucky to have you as a guide through that dense forest of intimidating books! I’ve heard of this, Julie gal. Must order it. I know another book for reluctant readers rnewman504. Zompoemz by Catherine Johnson. Fantastic for reluctant readers. Julie, I finally got You’re Two from your bookstore. THE LAST signed copy. WHEW. It’s on its way. Zooming through space. I should have it the first of the week. YEAH! I meant to get by before this. But I had hospital stuff with my Christopher and NaNo. 30,000 words, woman! TOOT TOOT! (I feel I must toot my horn.) Huh, hug, hug! Will look into this book. 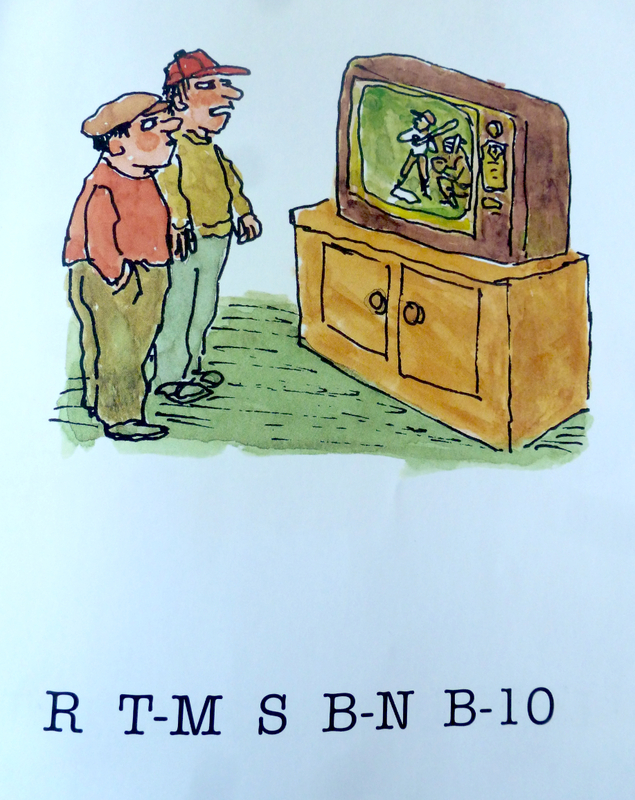 I remember reading (trying my best) CDB to my son. Wow! It was a challenge. I did not realize he had another title like it. I’ll have to see how I do with this one! Ha! P.S. How did you create your “winks”? I love that! Now you’re going to have to tell me what a wink is! Ah! It’s a WP feature, if you can’t find it uder ‘appearance’ google it. I had this book! My favorite was always : V-F 8-10 D L-F-N featuring African natives pointing to the bones of a giant pachyderm. Thanks, Jules. This one and CDB are favorites around my house! And they are fun to share at school! Thanks for the fun! Oh My! My brain is fried just figuring out the puzzles on this page. Maybe because I just got off the phone with my phone company trying to add airtime to a different phone for two hours!! I can imagine the scramble in your brain! What a grand book for kids and their parents. Couldn’t figure out the second one or the one Joanne shared. I usually am good with word play. You might enjoy some fun ones from Jon Agee as well! Another humorous title. I loved (still do) word puzzles like this. I still remember one: mnxrlt4u (ham and eggs are healthy for you.) But that devil would have scared me silly! Wonder if that devil would fly today.